Women’s economic empowerment is rising up the international policy agenda – but, because their work is often invisible, older women risk being left behind. 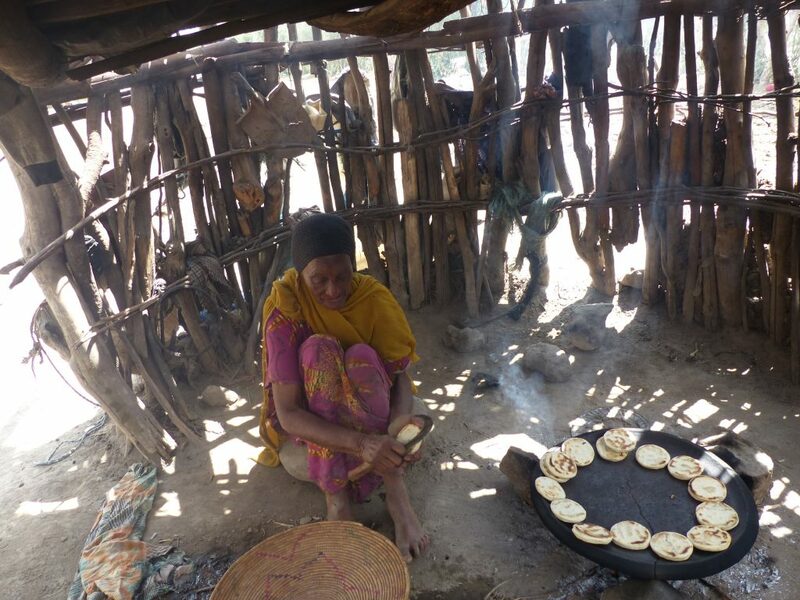 Kate Horstead, co-author of our new briefing paper on older women’s economic empowerment, reflects on her time spent time in Ethiopia, talking with older women about the realities of the gruelling paid and unpaid work they juggle daily. Older age is a time of life when many women begin to feel invisible; their absence from data and policy reinforces the lack of consideration afforded them. Globally there are fewer women than men in formal employed workforces – largely because of social norms around women’s role in society. When women do work in paid positions, their pay is lower than men’s – and they often miss out on pensions because of breaks to raise children and care for others. In poorer countries, women are more likely to undertake informal work, which is unrecognised by states and by traditional economics. This exacerbates poverty for older women, obliging them to work indefinitely. I recently travelled to Ethiopia, to see what this means in person. I met Aselefech who, at 70 years old, is caring for two grandchildren, a sick husband, and an adult son with a mental health condition. Aselefech herself has serious health issues, but cares for her extended family while bringing in money through spinning cotton. Still, some days they can’t afford to eat. Everyone I met in Ethiopia – women and men – told me women are ‘always busy’, shouldering multiple workloads long into older age. I met Halema, who well into her 60s still cleans the house, make the coffee, and bakes the bread. 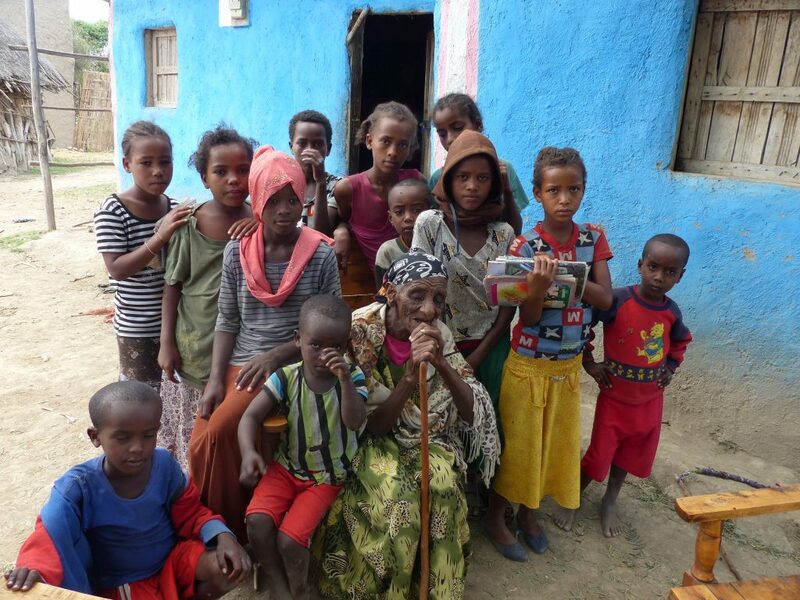 Another woman, Bera, in her 80s, still manages the household, ensures their livestock return at night, and watches her grandchildren while their parents work. As one man told me: “The women will never rest all the days of their lives”. The same story echoes across continents. 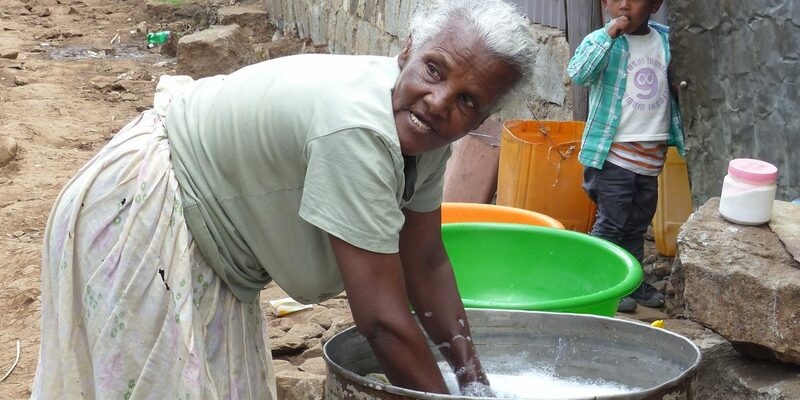 Older women, far from enjoying their ‘golden years’, endure back-breaking, sometimes dangerous, poorly-paid informal work, alongside unpaid care for others’ children, domestic work and caring for adults. 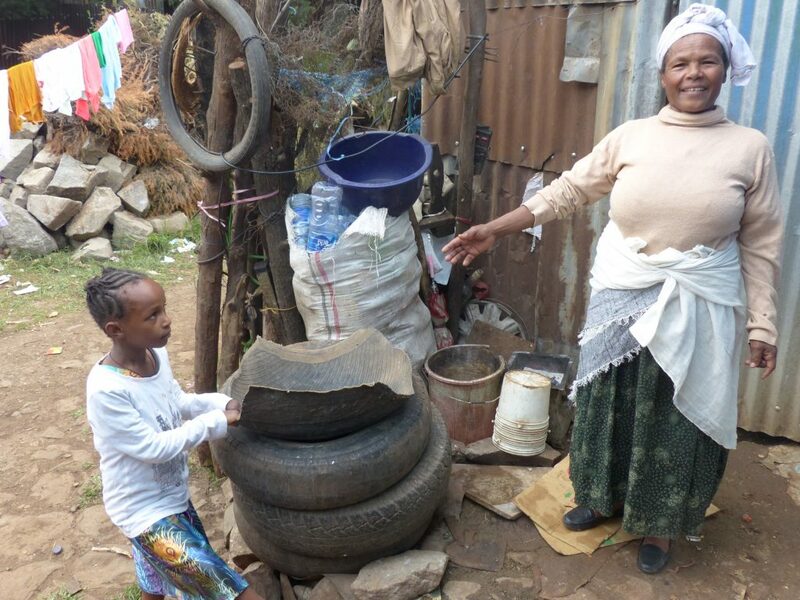 The older women I heard from in Addis and Oromia were living in poverty and with disadvantage, but their determination and dignity was striking. Imagine becoming a parent again at 60 or 70, to an orphaned grandchild, or a child whose parents have migrated, with no guaranteed income, no pension, no healthcare, no status. Our research found that older women shoulder, on average, 4.3 hours of unpaid care and domestic work every day – twice that of older men. Even when it is acknowledged, older women’s work is seen as an inevitable side effect of being female. Nevertheless, older women reported to me a sense of fulfilment and love from this work. They all wanted to work, in order to keep active and support their children. They told me they would do any job to feed their families and pay their grandchildren’s school fees. There is little resentment; it is ingrained in their minds that this is their role. However, without adequate support, their work is also overwhelming, damaging their mental and physical health. And they want a different future for their grand-daughters – better education and more choice than they had. ‘My family’s happiness is my happiness,’ Aselefech told me. But she was emotional when talking about the strain she feels in caring for them. Older women need pensions, whether they have had formal work or not – designed in a way that doesn’t discriminate against unpaid carers. Policymakers must address the needs, rights and preferences of older women, consult them, and ensure that investments in social protection, healthcare systems, care infrastructure and other public services are fit for purpose for women of all ages. Older women’s work is invisible to policymakers in the UK Government, which has committed to delivering the United Nations’ Sustainable Development Goals (SDGs). It has begun to recognise and address the goals around gender inequality and women’s unpaid care work in poorer countries. However, policy does not yet exist to specifically address the rights and needs of older women who undertake significant paid and unpaid work. Our findings matter hugely if these powerful actors are to ensure no one gets left behind by the SDG agenda. These goals can only be achieved if older women’s rights and roles are taken into account. Above all, we must award older women respect for their work holding up their communities. Their work matters; policy must recognise and support it appropriately. You can read the ‘Who Cares?’ briefing paper here. Our briefing paper is based on new research, which Age International commissioned from the Overseas Development Institue (ODI).